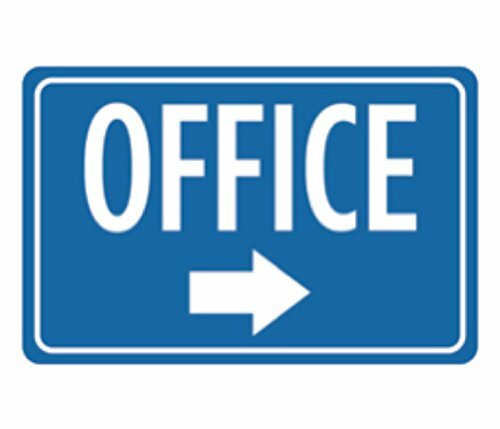 This sign reads "Office" with arrow pointing to the right. Great signs that look great posted anywhere at home, office, desk, locker, etc. Perfect sign for your business or the outdoors! Large 12 x 18 These signs are made of Aluminum metal and has predrilled holes for hanging. Hardware not included. This product measures 12x18 Inches and is printed on commercial grade aluminum metal.